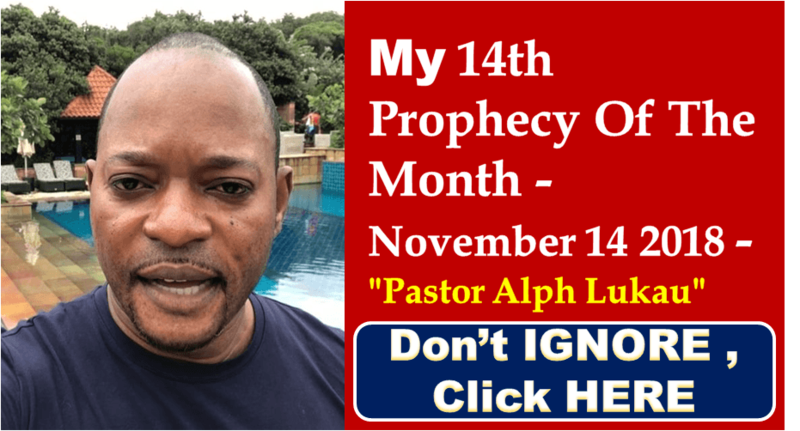 My 14th Prophecy Of The Month – November 14 2018 – "Pastor Alph Lukau"
A scar of beauty sounds like a contradiction. How can a scar be beautiful? We think of scars as just the opposite: ugly, painful, something we’d rather forget, we’d like to hide, don’t let anyone see it. But only God, the great Physician, can take that ugly wound—a bitter divorce, a painful loss, an unexpected illness—and somehow turn it into something beautiful. We didn’t deserve the mercy, we didn’t see how it could work out, the odds were against us, but God not only brought us through, He turned it into a scar of beauty. Now when we look at it, we’re so blessed, so grateful, we don’t remember the pain, we don’t remember the hurt; we remember the goodness of God. I have been crucified with Christ and I no longer live, but Christ lives in me. The life I live in the body, I live by faith in the Son of God, who loved me and gave Himself for me” (Galatians 2:20). The Cross represents both death and life—death to sin, life to righteousness; death to self, life to the spirit; death to my carnal desires, life to the indwelling presence of His Spirit changing me into His image. Praise the Lord Jesus Christ. Hallelujah! Thank You for guiding and helping us till the end of time.Thank You that You promised to be with us.